Released with no printed info and limited to 300 copies. Record is also known as "Spectrum - Vol. II". white label ‘farfelously’ released ‘black labels without info’ with the catalogue number ‘white 003’, by R & S Records, i have bought to ‘pat’ at the begining of music line was only a record shop, in the town center of roubaix (france) main station, a cold fall or winter’s tuesday night around 1991 / 1992.
from the unfortunate uncredited artist Maarten van der Vleuten (source : release history), the record was initially known as ‘Spectrum (Renaat Vandepapeliere and David Morley) - Volume II’, until the label has licensed the ‘a track’ then, to Muzik Magazine in 1995, for a ‘cassette compilation’, and to Big Time International in 1997, for a ’cd compilation’. both were licensed with the actual name of the release : ‘Mantrax - Scarlet Circus’. still from the same uncredited artist Maarten van der Vleuten, reliable source, the ‘a’ track he has co-produced with Spectrum, and / or Mantrax, in ‘the r & s studios’ (probably the R&S Laboratories), was finally mixed by Renaat Vandepapeliere before the pressing, and, the ‘b’ track (still ‘untitled’ to the discogs database actually), was exclusively from the artist David Morley. after a serious reflection, maybe more 1992 than 1991... both tracks were big under laser show from ‘boccaciio life’ club in ghent-belgium ! absolutely not surprised it’s a David Morley and an R & S Records production ! please do not upload anymore video ! both sides are there, thanks. Always thought it sounded a bit UR to be honest. I picked this up in the early 90's and soon found out it was from the R&S stable but never knew Maarten Van Der Vleuten was involved. Big. 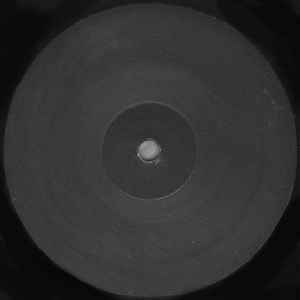 Check this item - https://www.discogs.com/Various-The-History-Of-Techno-Part-3/master/4527 Verry Good pressing. This had only 200 pressings and was produced by Renaat Vandepapeliere. Very limited release and a great tune by the man behind R&S! This one has been one of my favourites for decades - it's on lots of early to mid-1990s rave tapes, and as we all know, it's only been issued on an extremely limited 12". Side A is available on one CD compilation, though - which is also pretty expensive, probably because this is on it :) . As I have the vinyl, I don't need it (the rest of it isn't quite so essential), but it's also on a cassette compilation which I do own - that one is highly recommended. So why has this 12" not been released elsewhere, in full or otherwise? Well, who knows... but a lost master tape is the most likely reason, but it could just be that R&S don't think it's financially viable to reissue? However, there may be hope if one reads the liner notes to Optimo's "In Order To Edit", which was mostly compiled from DAT tapes. While that particularly excellent mix does not specify which DATs were missing, wouldn't it be wonderful if indeed one of those "...two massive boxes of DAT tapes..." mentioned in the liner notes had included the tracks off here? I have this record since it was released in my shelf and had written R&S whitelabel on it because there was no cover and no hint that this was a R&S release (no etches also only "White 003" engraved). The fact that I got it out from the R&S S folder in my favourite record store made me believe that this was a release of them. But by the time I got unsure about the origin, when I compared with early Richie Hawtin releases under the aka "Circuit Breaker" or fuse. I got tempted to write +8 Promo on the record too. I did sound so much more detroitish with that reverbed handclap , nervous hihat patterns and the deep 303 bassline. Also the arrangement was so simple (fader in, fader out not the usual R&S S quality) that I got manifested in my believe this must be a +8 record not a R&S release. Discogs finally helped my out of that disbelieve. Thank you guys for being there! This was only released as a two track (black label) promo as far as I know.